“Giant Houses with No Storage” could easily be a book title about Victorian Era Houses. Take ours, for instance. We have 4,700 square feet. And, there are three closets on the first two floors combined. Of those three closets, MAYBE one (under the front stairwell), is original. The other two were added in over the years. It seems ridiculous to own a 4,700 square foot house, and have nowhere to put your things….. yet, here we are. If you’re buying an old home, generally, you won’t have enough closet space – if you want the charm, you have to lose the stuff. 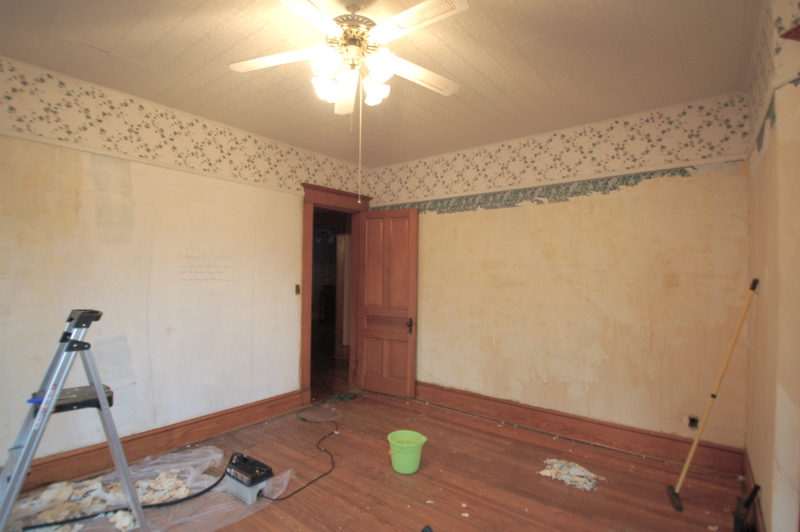 Right now, we are storing things in several rooms that haven’t been restored yet, and as we restore the rooms, we’re going to try to be creative about adding storage in. We have the added struggle of having no outbuildings – we have no shed, no workshop, and no garage. So think about everything you have in those spaces, and think about where you’d put it if you had to move it inside. 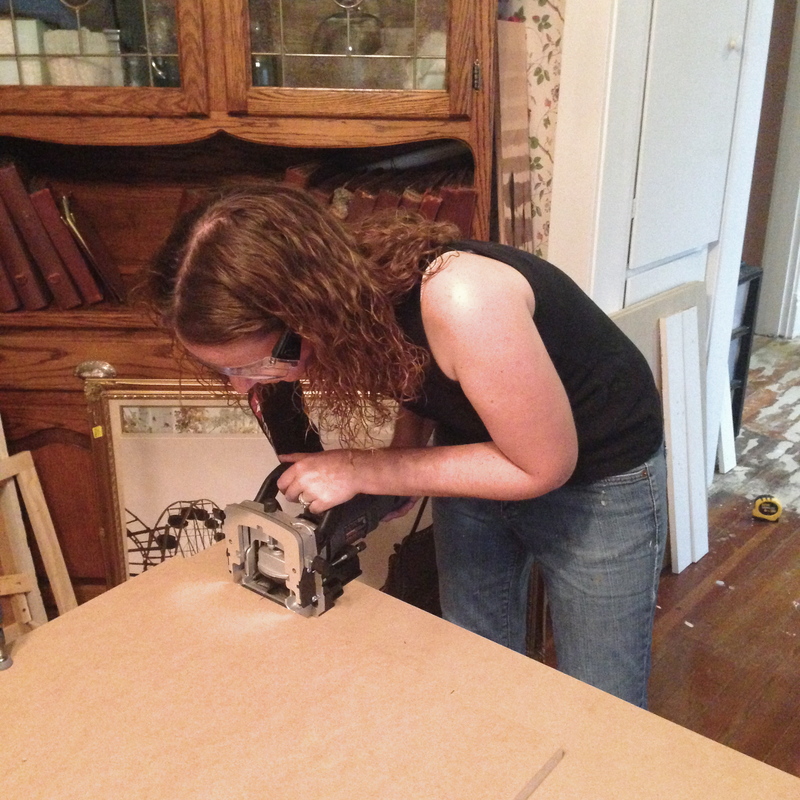 And, we have a LOT of tools and materials and supplies because of our renovations. 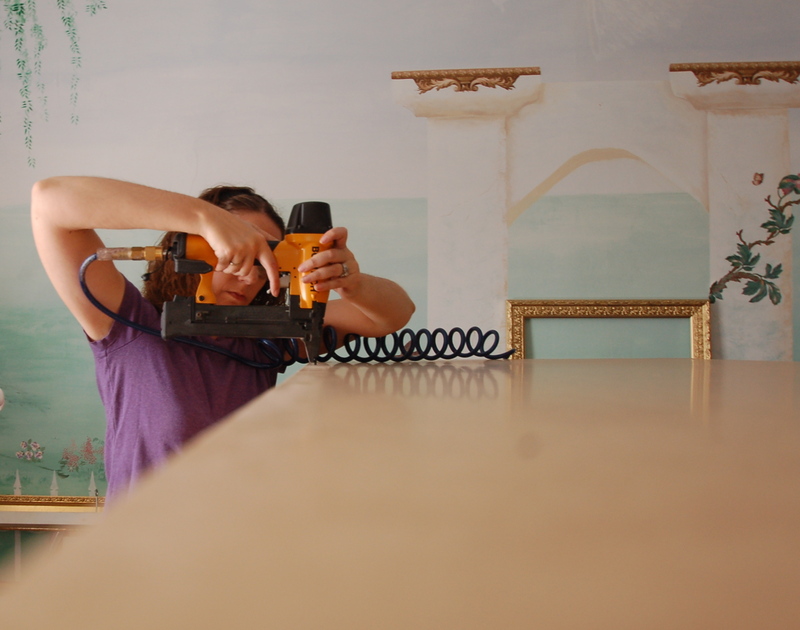 We’re lucky to have a decent sized basement, where much of that stuff goes, but really, our house looks like a construction zone all the time – if the room hasn’t been renovated. The front bedroom has two decent sized walls. The others are filled with windows and turrets, and you can’t think about those for storage. 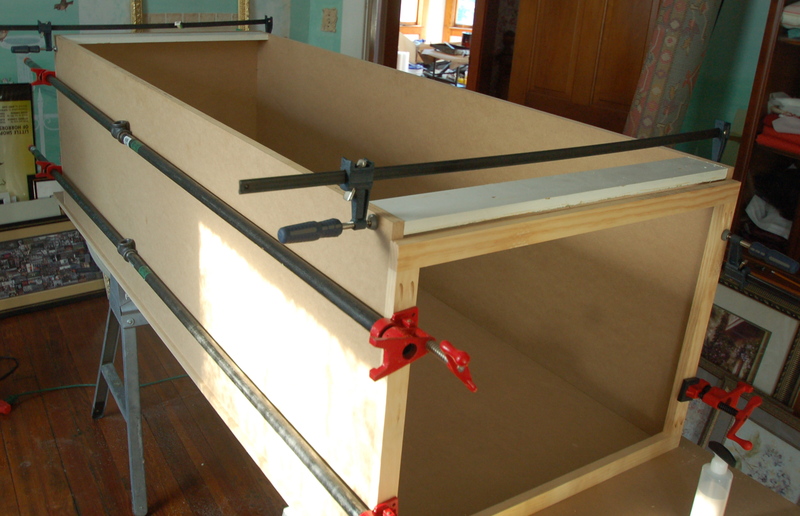 In the picture below, the wall to the left will house the bed, which frees up the wall to the right for storage. We found a really great dresser at the the salvage yard here in town, but I also wanted a closet / wardrobe feel. Building an enclosed closet is too modern for me, so I wanted something that would look like furniture, but still be able to store hanging clothes. In the Victorian Era, bedrooms usually had a chifferobe (a chest of drawers), and a wardrobe, or amoire. Victorian women didn’t have many pieces of clothing – generally, for an upperclass woman who would have lived here, she might have had 2-3 day dresses, and 1 evening dress. These would hang in a wardrobe – not on hangers, but on hooks or pegs. Furniture was used instead of closets – in many areas, buildings were taxed based on the number of rooms within the house, and so a closet would be taxable space. I was worried about how weird it would look to have a dresser and a wardrobe on one wall, so I thought, why not flank the dresser with TWO wardrobes? 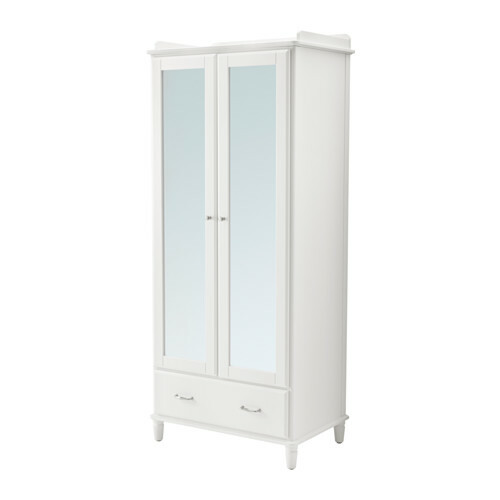 And so, just like all Victorians in the year 1902, I went right to the IKEA website to find something classic and period appropriate! Here’s the thing – I didn’t want to break the bank, and I knew I could find something simple, tall, and inexpensive enough to work for this space for now. But, it was too short, and didn’t quite work. And I loved the idea of flanking the dresser, but in my mind, it had to be just right. So I asked Doug if we could just BUILD something more permanent in the space. He got excited about the idea, and I started drawing. 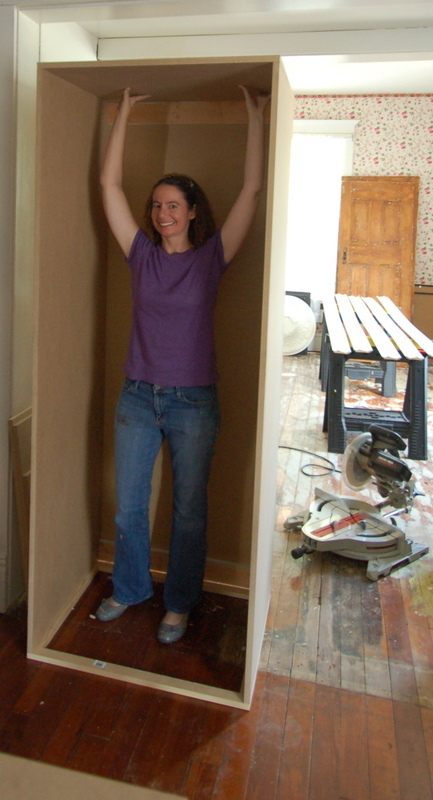 Here the plan – floor-to-ceiling wardrobes (10′ tall), joined together by an arched bridge. 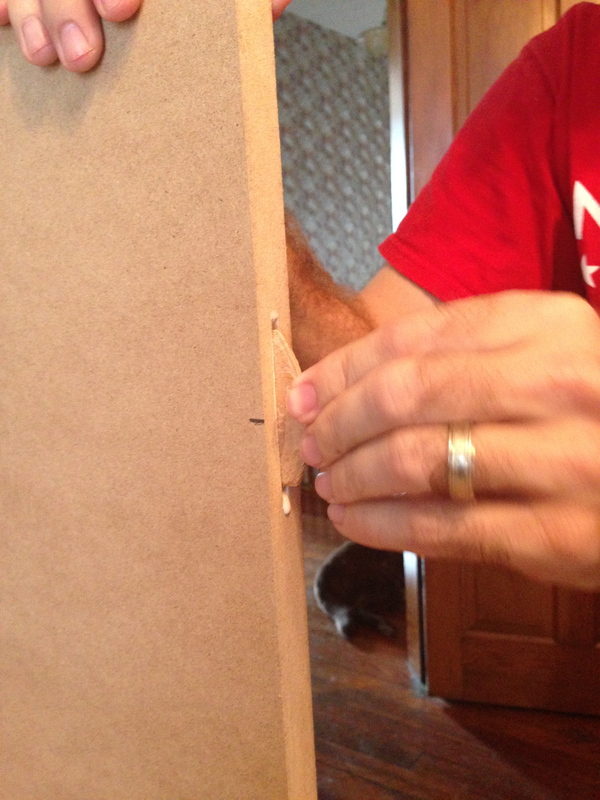 Underneath, we encase the bottom in baseboard to match the existing baseboard, and run crown moulding across the top. 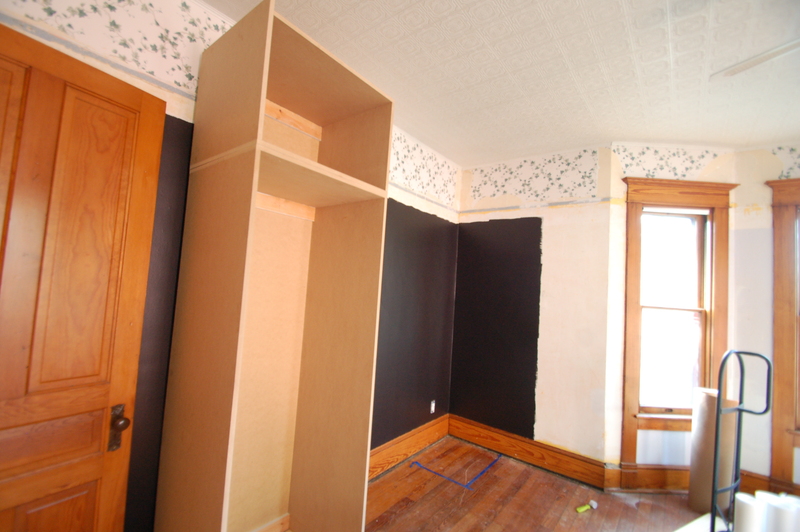 It will be white, to offset the wood of the dresser, and the black of the walls. A gas light fixture that matches the center room fixture will be added. 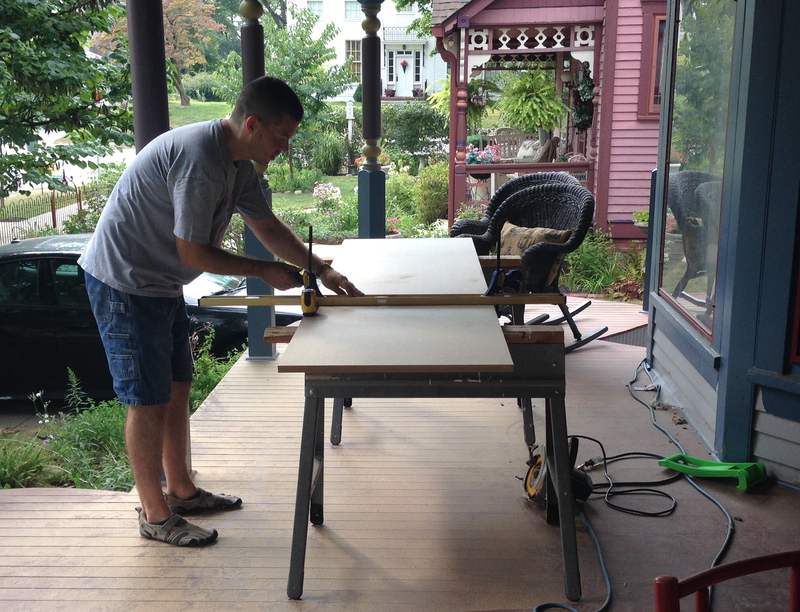 The boxes on top of the double doors will be a second storage area, and the doors will be salvaged windows. 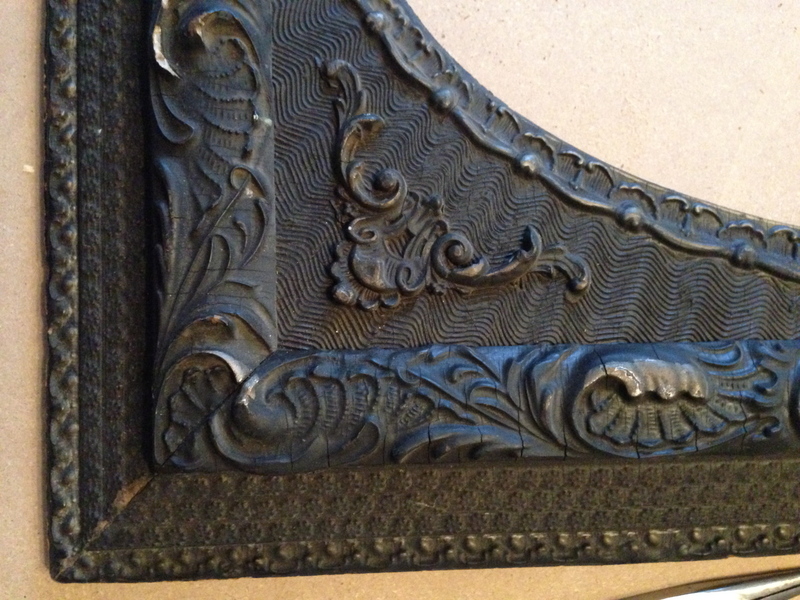 Or, they were GOING to be salvaged windows in my initial plan. That’s since changed. Thoughts (about the idea, and not my inability to draw anything artistically)? I’m excited. I handed my drawing off to Doug, who started the math of it all. 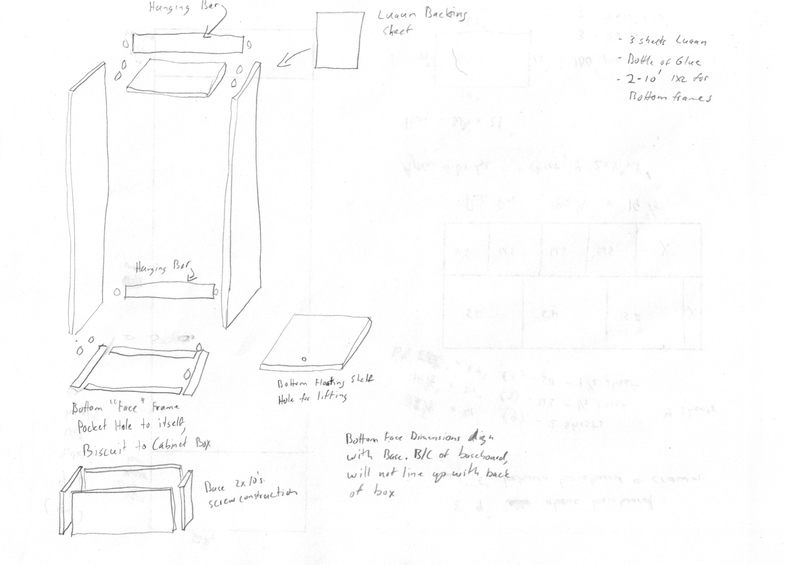 He sketched out how it would go together and be attached to the wall, and even included my idea of a trap-door shelf, to access the area that will be behind the added baseboards. 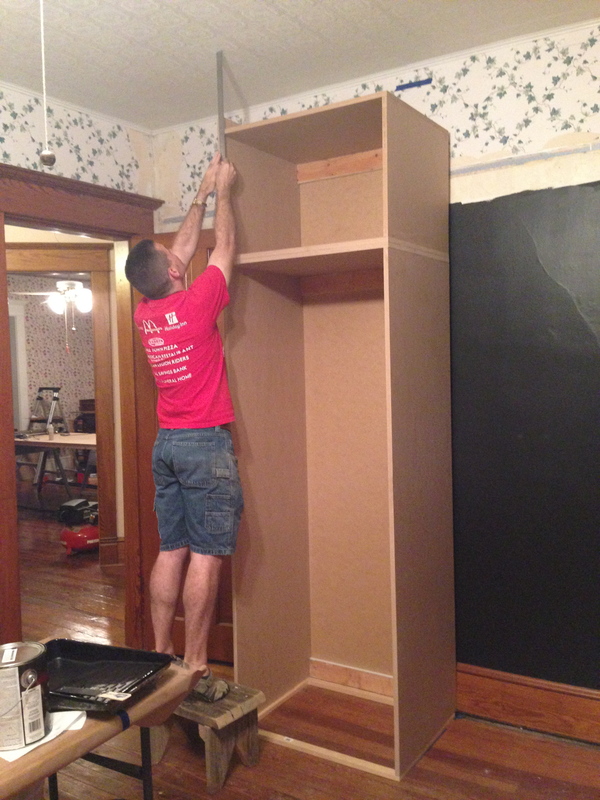 Each wardrobe will be thirty inches wide, 10 feet tall, and 24 inches deep. This will also have twice the storage as the IKEA wardrobes, and cost well under what we would have spent on two of those. Bonus! 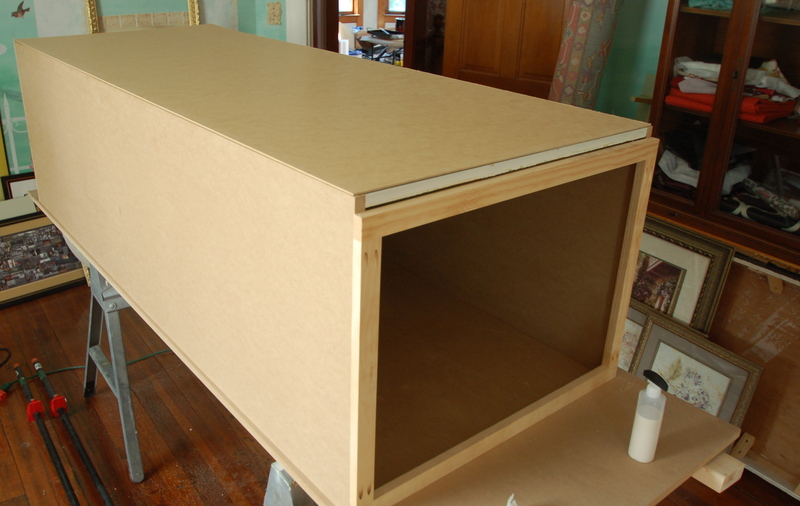 Since I’m going to paint these, we’re building them mostly out of MDF, and buying custom wood doors for the front. 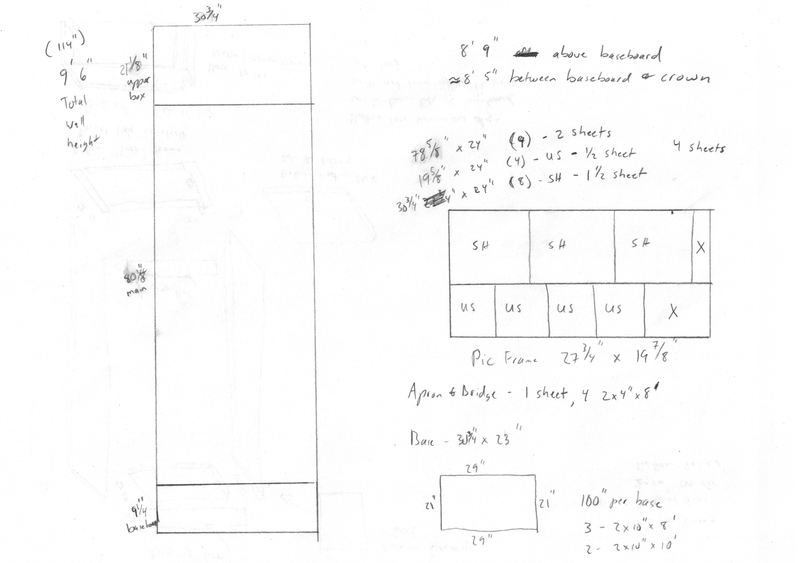 Here’s more math of how much lumber we were going to need to buy! And we shopped! Here’s our wardrobe! 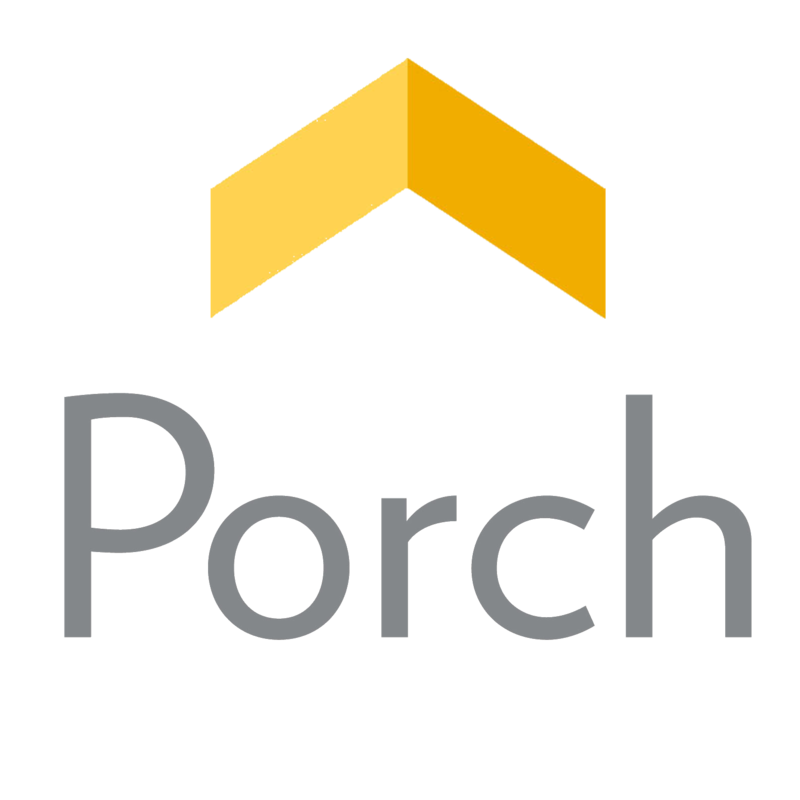 Remember, we don’t have a garage or a workshop, so we either have to use a room indoors, or the porch. 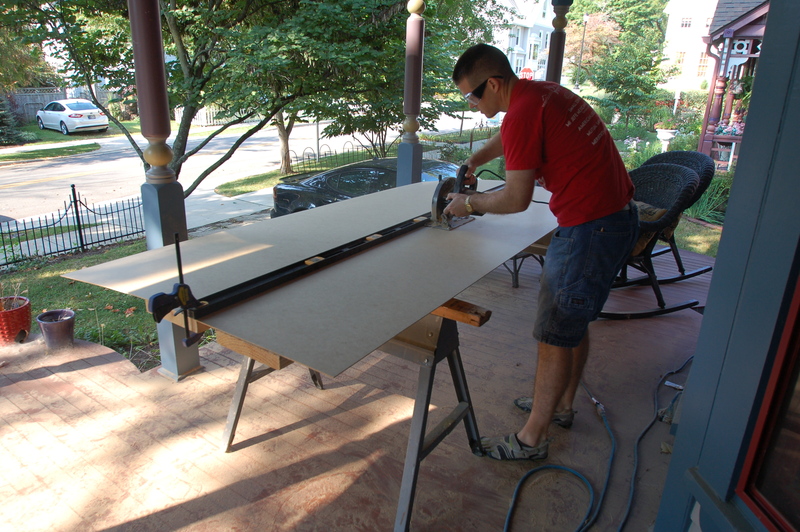 Since MDF makes such a mess, it was nice to have good weather to start the build. Although, it was stupidly hot. Reese and Marina helped, too. 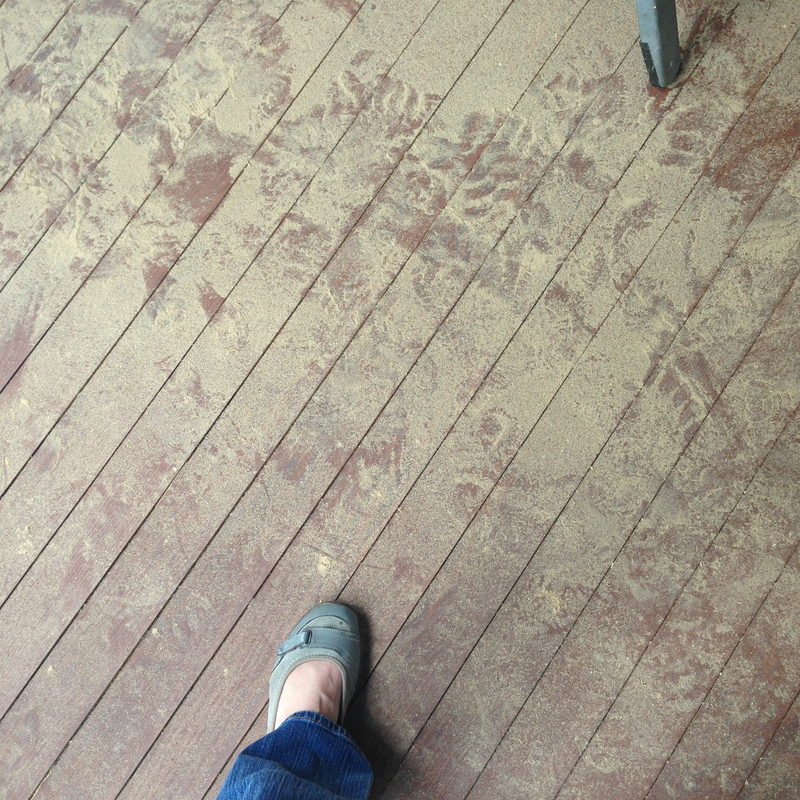 Someday, I’m going to make a sawdust snow angel! 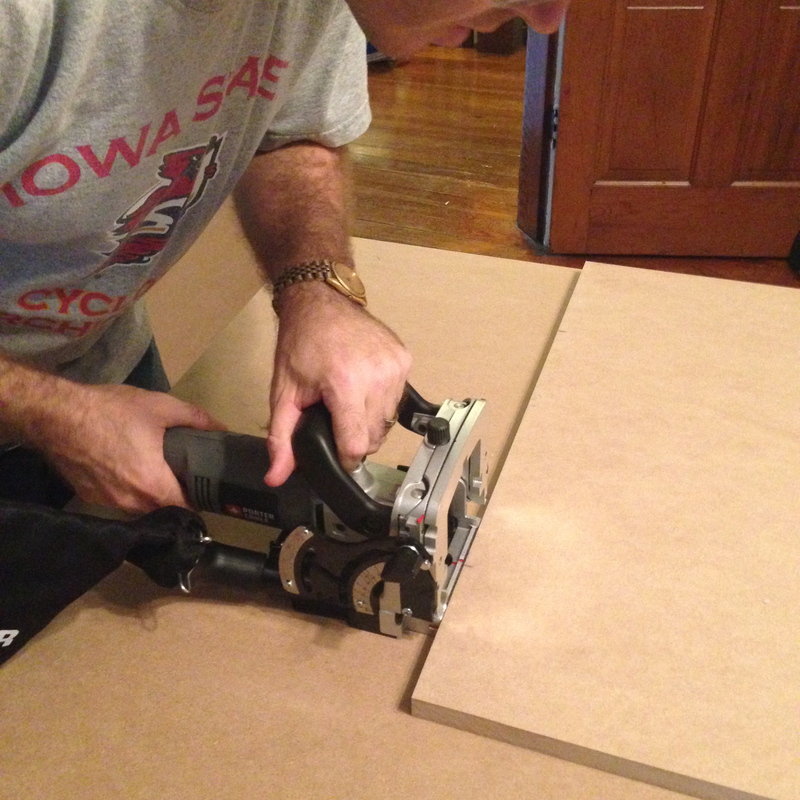 Doug started by cutting the pieces of the wardrobe out. While he was doing that, I painted the two walls that needed painted. The color is “Caviar,” and I totally LOVE IT. 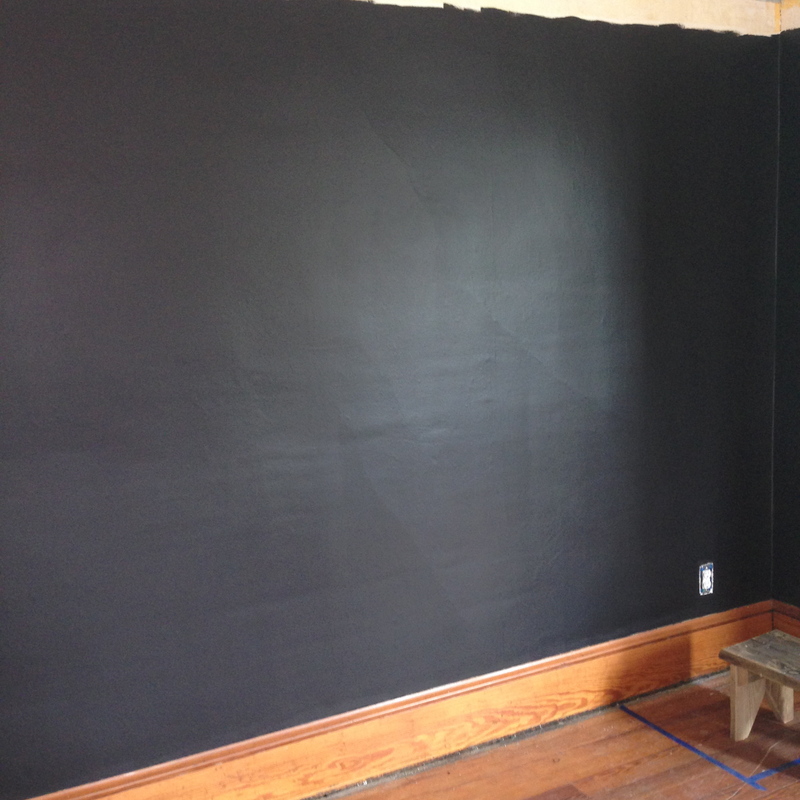 I know most of this will be covered in wardrobe, but this is easier than trimming it a ton later, and it gave me a chance to see how the paint color would cover on the new wallpaper liner. It worked really well! 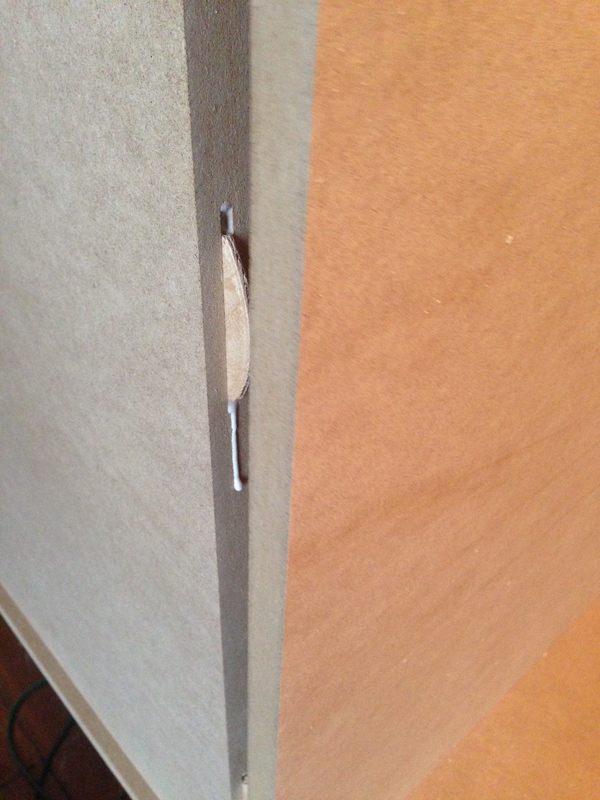 We marked where the wardrobes would be, just to make sure everything would fit. 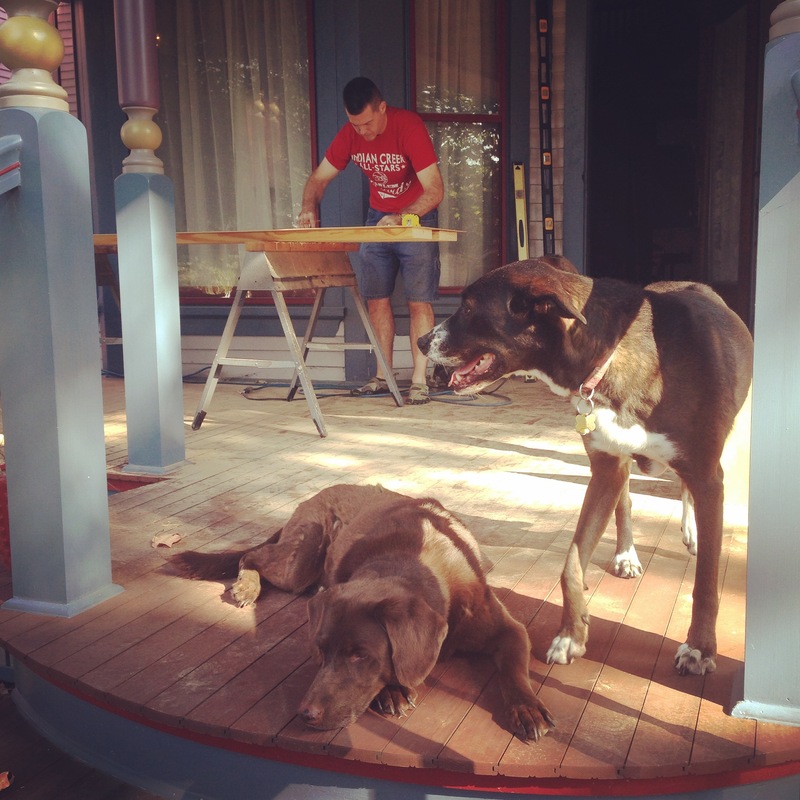 DON’T WORRY ABOUT THE BASEBOARDS. They won’t be cut, nailed into, or marked in any way. We’ve planned it all out. It’s funny, the blue boxes seem small here, but they are giant in real life. 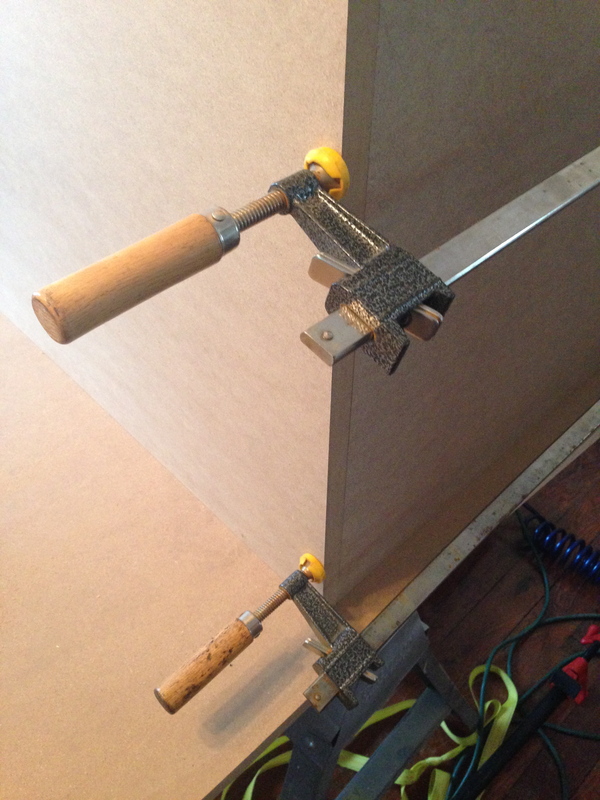 We got a new tool to make this easier – this is our new biscuit joiner! I think I let Doug make the first two joints, and then I stole it after that. I’m a big fan. 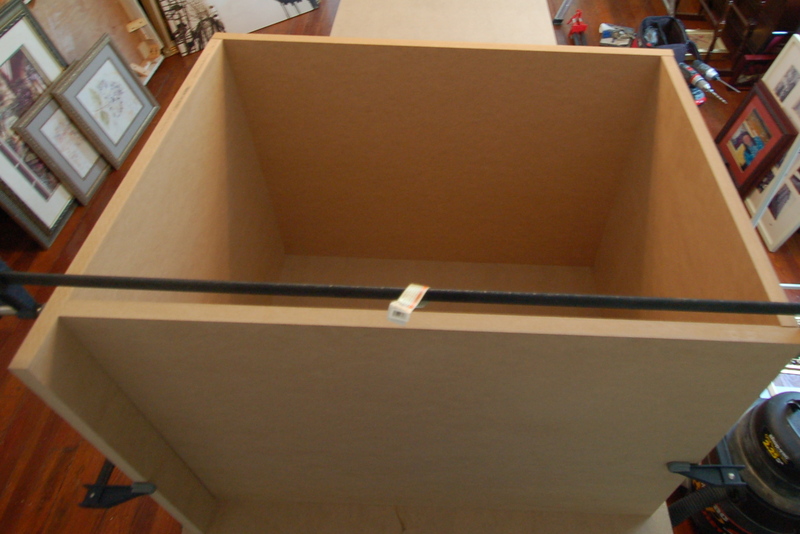 I don’t have a lot of pictures of the assembly of the box, because we both had to have hands on the piece. I think when we do the second one, I’ll try to set up a camera to get more pictures. 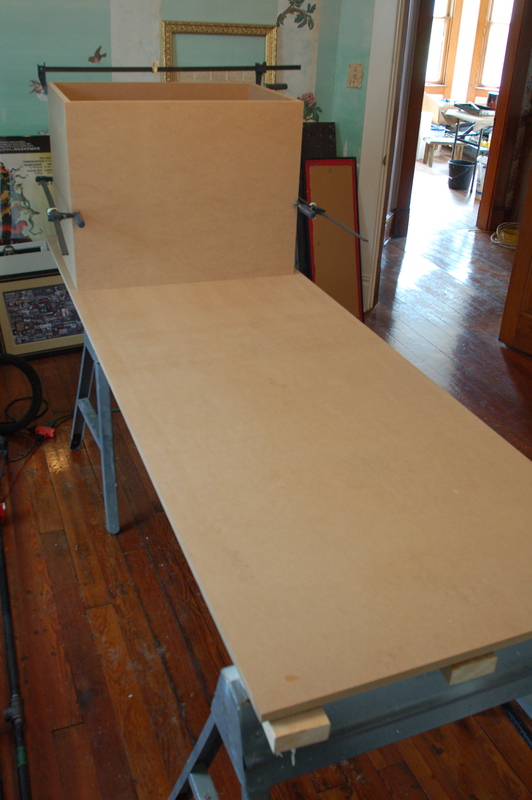 Once it was together and glued, we clamped it to dry. 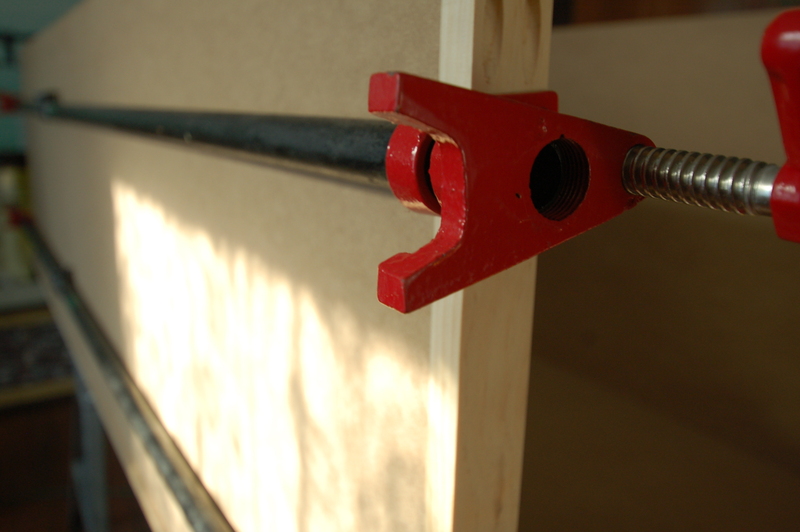 We only had enough material for three giant clamps, so we had to be creative for the fourth by tying two together. 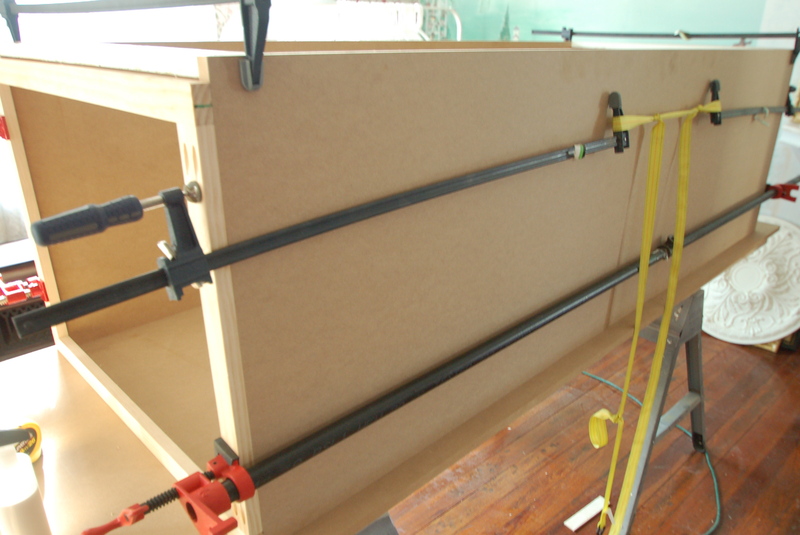 Doug is usually so in the box, but he gets really creative when it comes to clamps and tie-downs. Doug used his new 8′ (!) 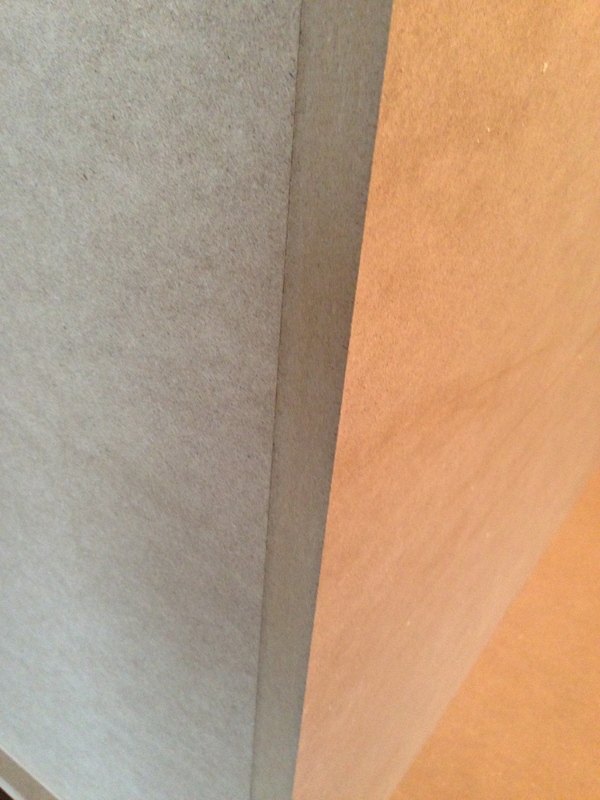 level as a guide when cutting the back. 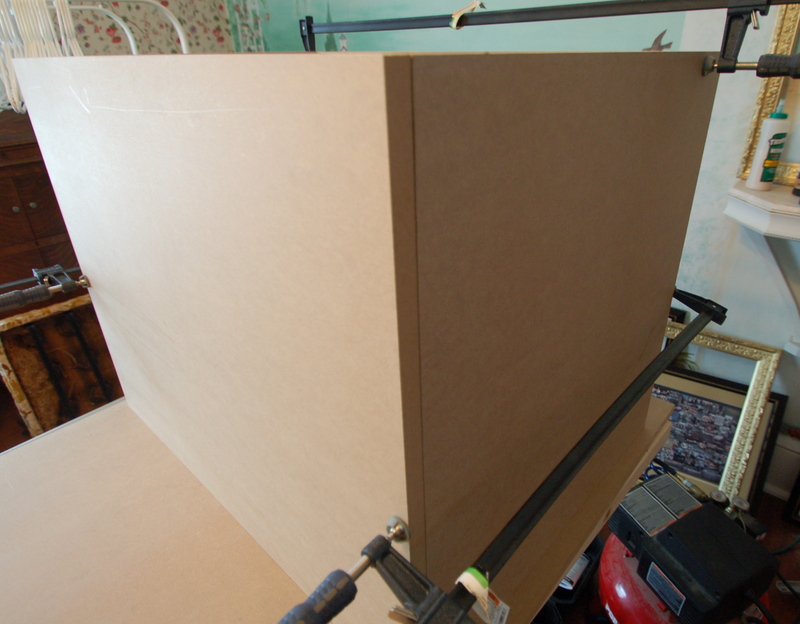 We used 1/8″ MDF for the back piece. Here’s the back going on! 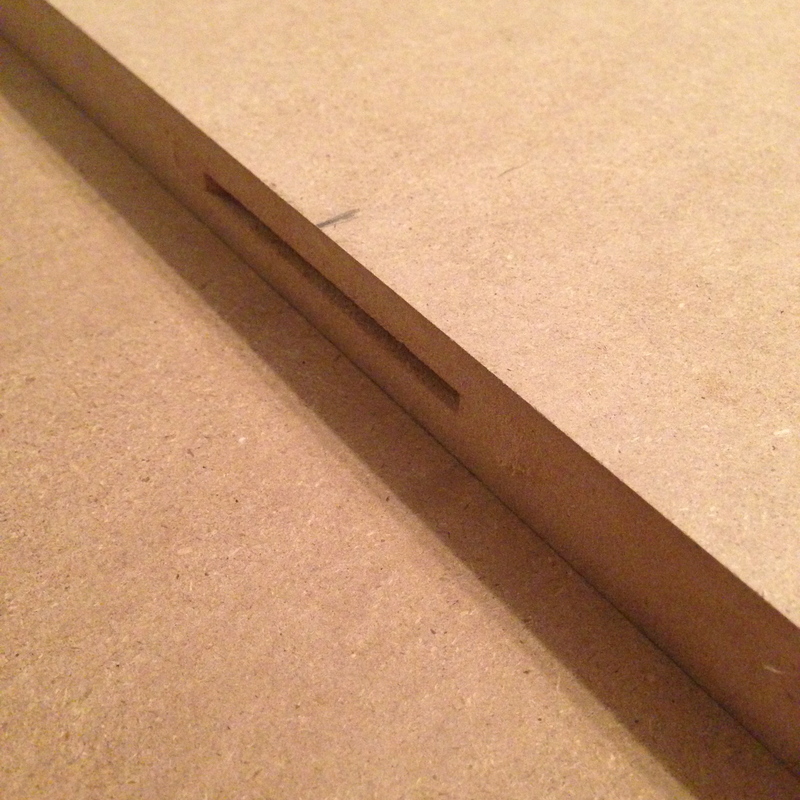 The back got stapled into place. Also, it’s amazing how I never even notice the castle mural in the future master bedroom anymore, until it’s in pictures. And then I laugh out loud. 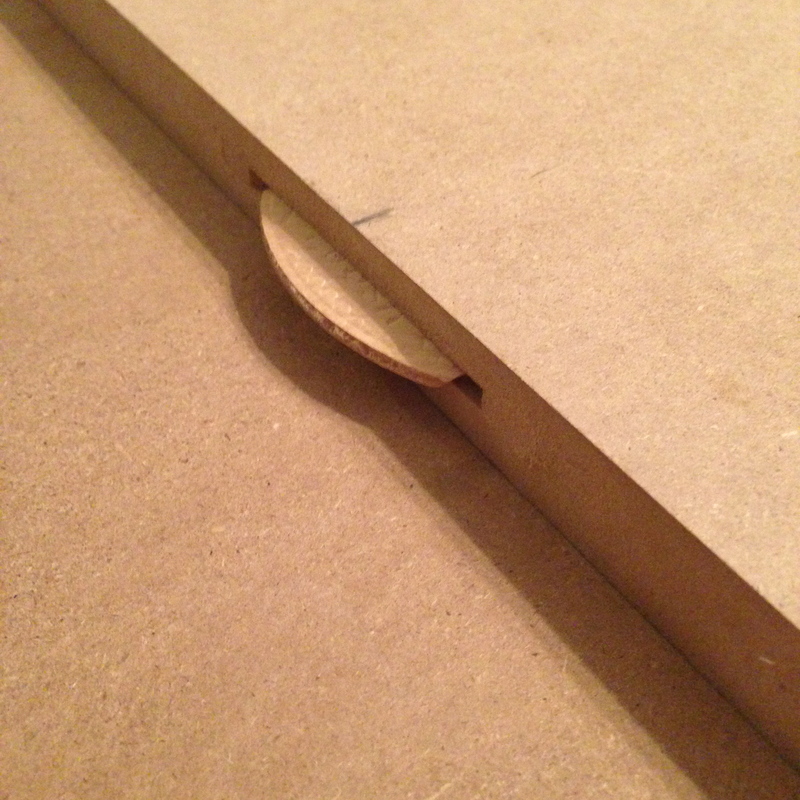 After we stapled the back on, some of the wood glue (of course) oozed into the box, so I climbed in and wiped it all down. It’s roomy! One box down! One more big one, and two small ones to go. 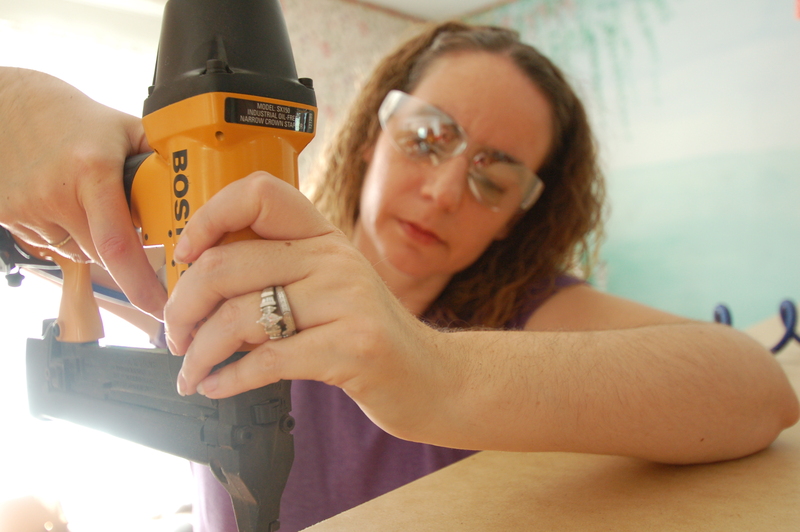 While Doug cut more lumber, I started working on painting the crown moulding for the room. 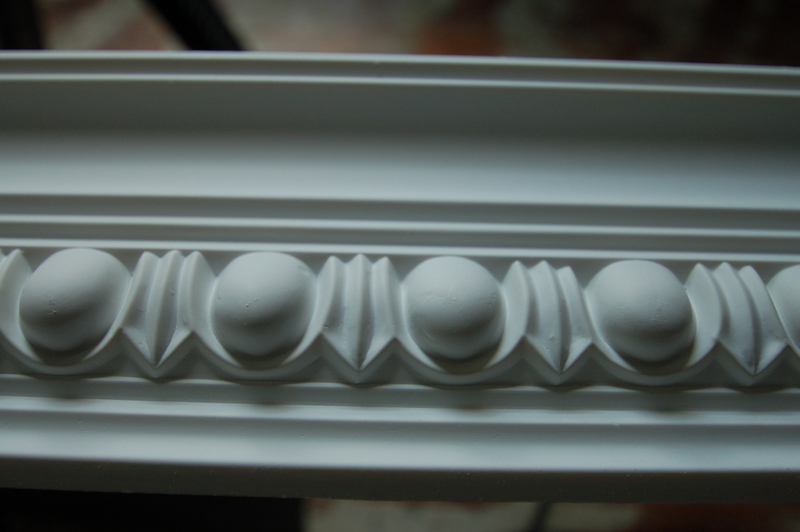 Egg and Dart, to pull from the Egg and Dart that exists on the stairwell, and other places throughout the house. Here’s the first little box! 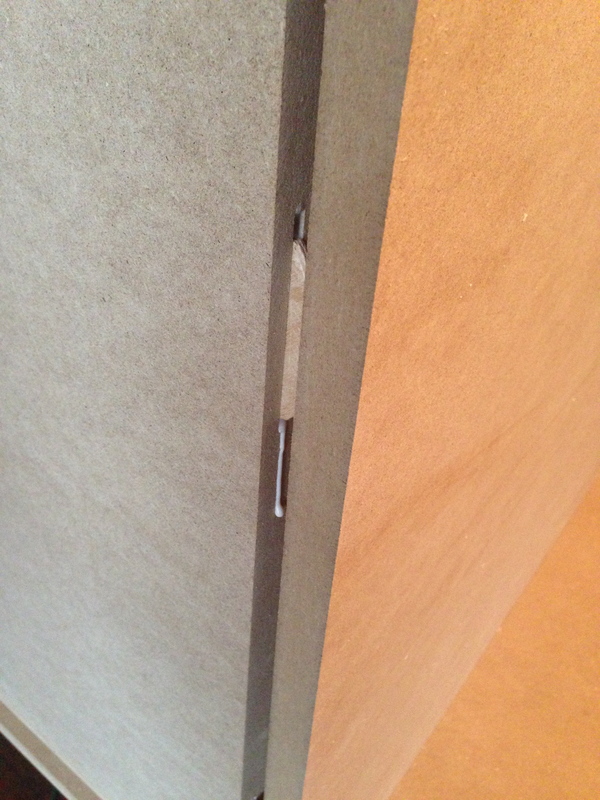 Here’s some close-ups of the biscuit/gluing/setting/clamping process. 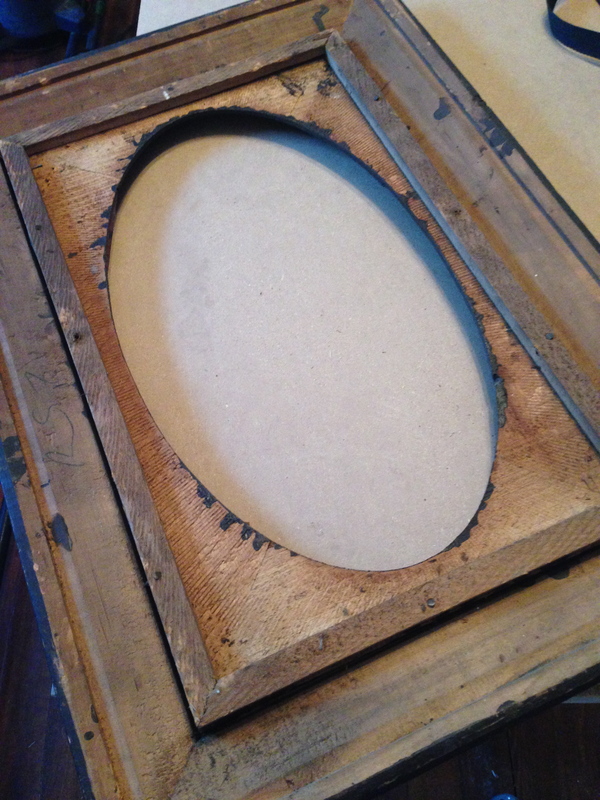 Initially, I wanted to use salvaged windows for the cabinet fronts for the top boxes. 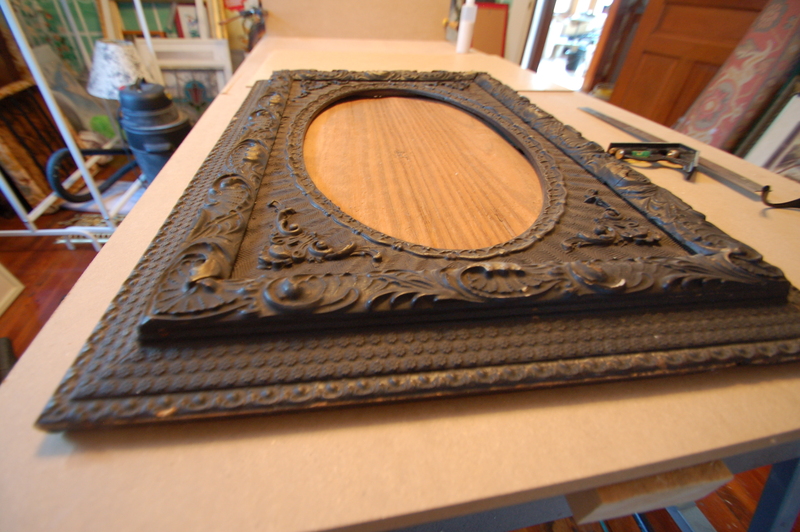 Then, I was at Small Town Salvage, and found a pair of Vintage frames that were the PERFECT size for the space. I snagged them. The plan is to paint them to match the wardrobes (they are already painted, but very worn), and we’ll mount mirrors behind the frames on the doors. 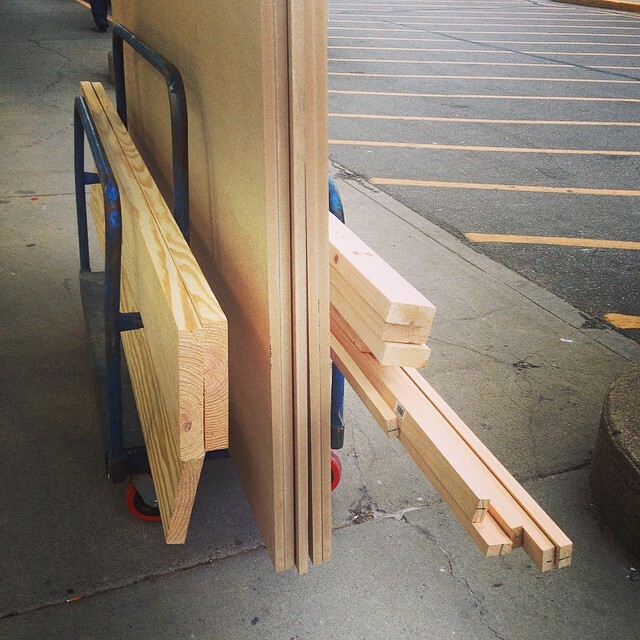 Doug was working on cutting more lumber, so I worked on getting the backs off of these to get them started. I’m really excited about these! 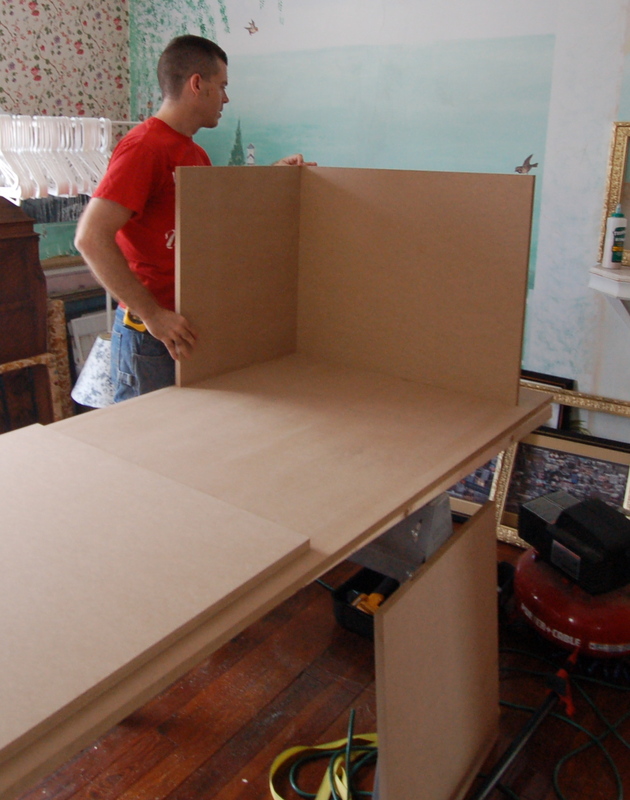 It took about two days to get to this point, and we put the boxes together in the room to see how they looked. 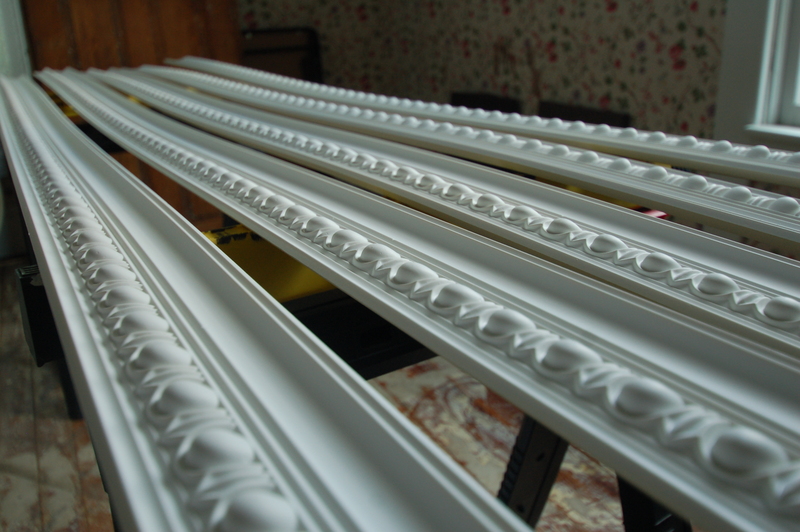 There will be a base to raise these up past the baseboards, and crown moulding to take them all the way up to the ceiling. I know they seems super bulky, but once they go to the ceiling, and everything’s in place, I think it’ll be fine. It’s a REALLY big room, so I think it can carry it. They are SO HEAVY. And giant. And I think when it’s all done, they will look great! Doug did an incredible job of figuring out the logistics, and I’m super excited to have designed my first piece of furniture. It has a LONG way to go still, but here’s where we are! I love your postings. Both of you are so clever, hard working and creative! Thanks for taking the time to share with all of us that follow you. Thank you so much for following along! I’m so glad you like what we’re doing – it means so much! I think this is evidence that when I said I like that my rooms are square, I meant something we agree with. Boxing in closets or heat ducts never looks like part of the architecture. 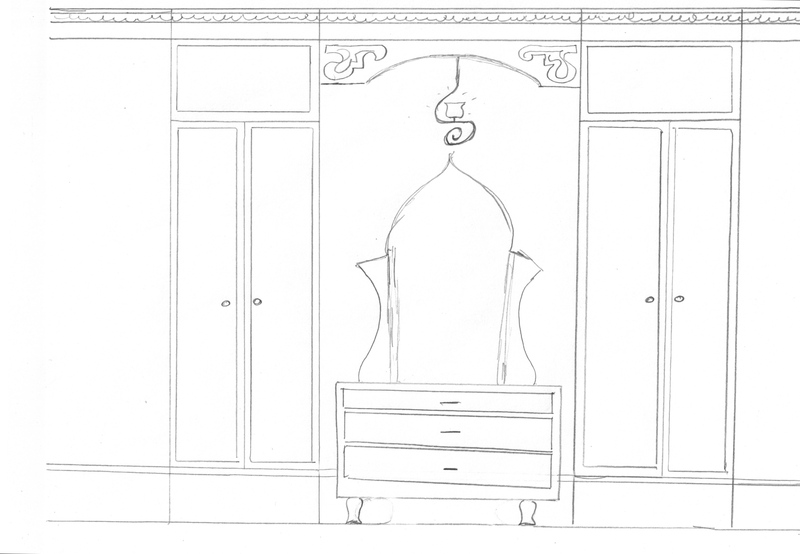 I think the sketch looks a lot like built-in wardrobes from the period. Did you know I tried to buy a house with one of those? I was very sad to not have gotten it. 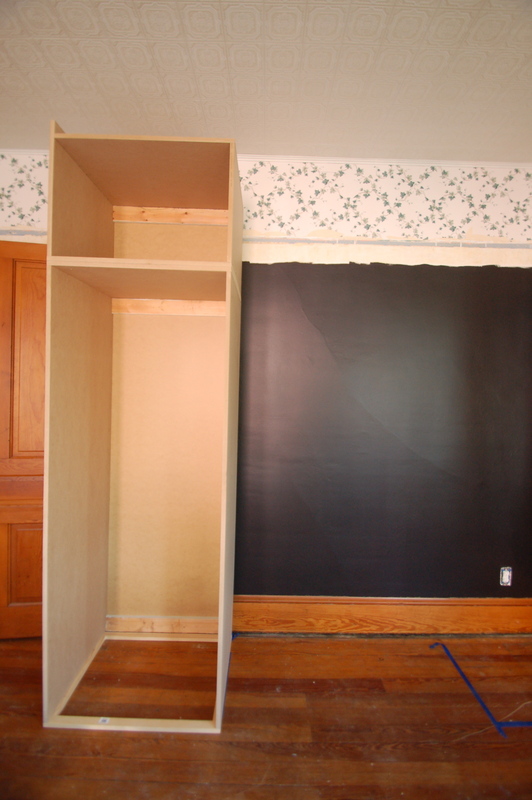 The other bedroom had a small corner cabinet shaped closet. 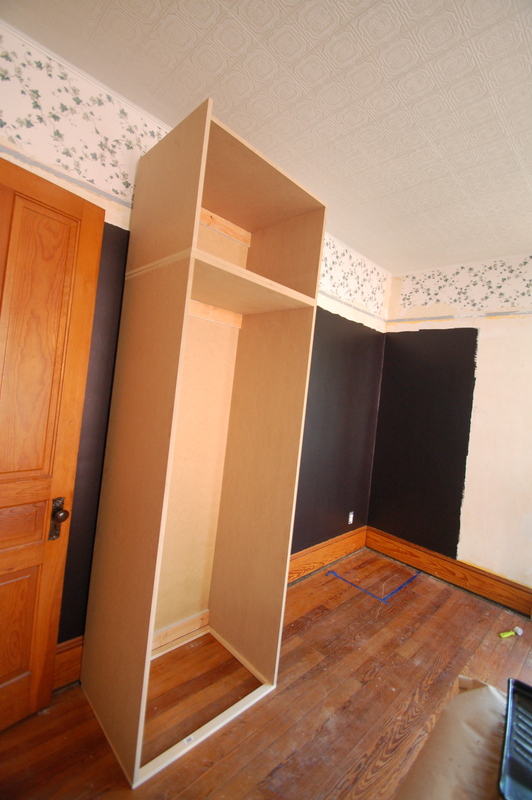 Corner closets are so impractical and completely divine. I’m sad you didn’t get that house! You are so accurate with your statement about the lack of storage in a Victorian house. We have a handful of terrible cupboards in each of the kitchens that were built in 1925. Nothing else in the whole house. Right?!?! It shows how much more stuff we all have. In 100 years, we’ll sleep in closets and have our stuff in the rooms. I’m having fun with it, though. I enjoy the challenge of building in storage where no one is expecting it. NOW it is obvious why you and Doug get so much done! Reese and Marina! Your secret helpers!!!! Reese will find the spot in the middle of everything, and lay down in it. Probably on tools that you need. Marina will be scared of everything and run away. But then, she’ll be worried you’ve forgotten her, and she’ll come to check on you two seconds later, remember she’s scared and run away again. And repeat. I am smiling just reading your answer , I am reading your blog like I would read a book and the book is very good ! I think we are lucky. Our house is 1909 (in Franklin on Yandes). We have 2700 square feet with 8 closets! Two of which are giant walk-in. Plus, we had two pantries in the kitchen. 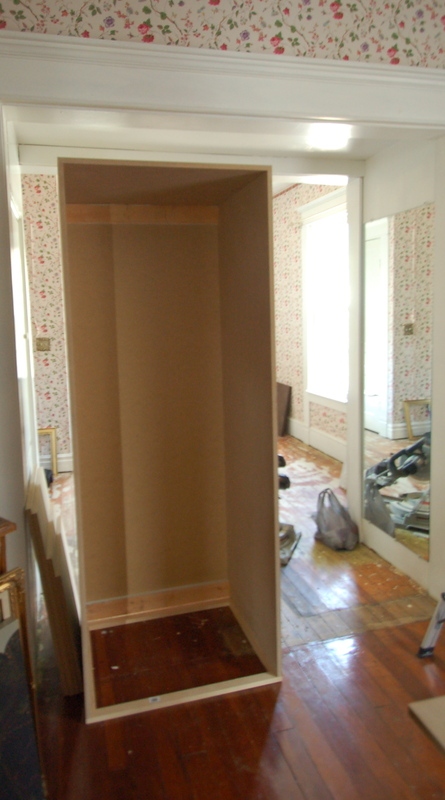 One we took out along with a wall to make the kitchen a more square room and to do away with a bottle-neck area. Our floor plan in very different. 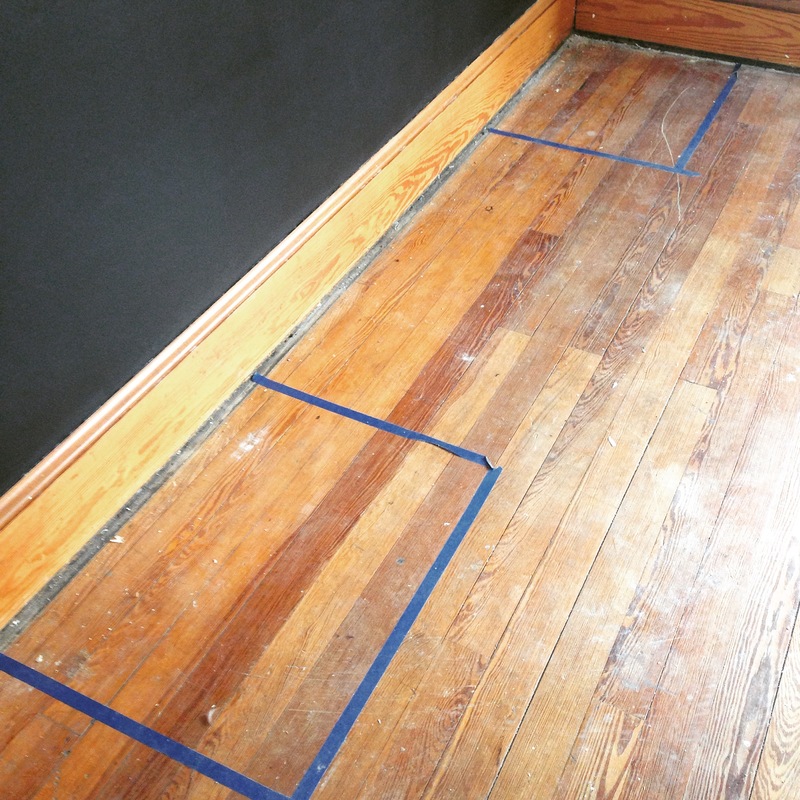 I’ve looked at so many floor plans online of old houses and haven’t found anything even close to it. Wow! That is fantastic – Do you know what the original use of your house was? If those closets are all original, I wonder if it was a boarding house, or had some other non-traditional use. I’d love to see it sometime!